If you had a space where you were ALWAYS greeted with compassion, love, acceptance, and understanding would you not run to this place when life was hard and you felt suffering? What if there was a place where you were welcomed with warm open arms, where you felt so completely safe that you could release all your inhibitions and allow your feelings, thoughts, and sensations to flow knowing that they would be welcomed and supported unconditionally? Would you not return here time and time again and leave feeling rejuvenated and powerful? There is such a place and it is an inner sanctuary found inside all of us. It is underneath all the stories and rules we hold onto, under all the beliefs and labels we attach to ourselves. If you look you will find it. Imagine greeting yourself with empathy and understanding when things became tough. Imagine returning home to yourself to feel the warm loving arms of self-compassion. Would you not run to yourself when suffering? 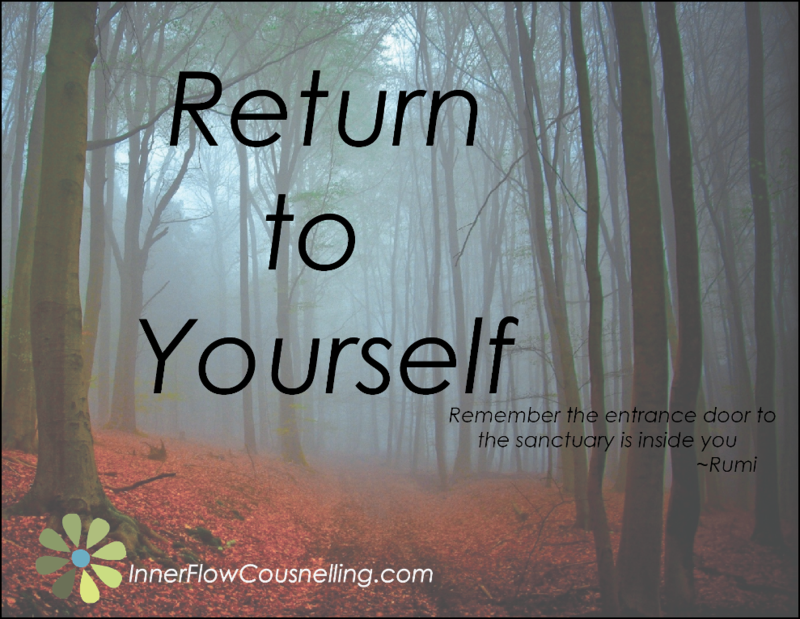 Would you not return to yourself time and time again so that you may rejuvenate and empower yourself? Offer yourself the space and compassion you would offer your best friend when they are suffering. Return to yourself. Develop your inner sanctuary.